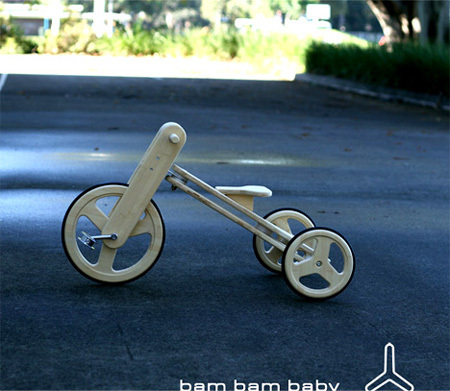 Made out of sustainable harvested bamboos, Bam Bam Baby Tricycles is lot different from ordinary plastic molded tricycles available in the market. 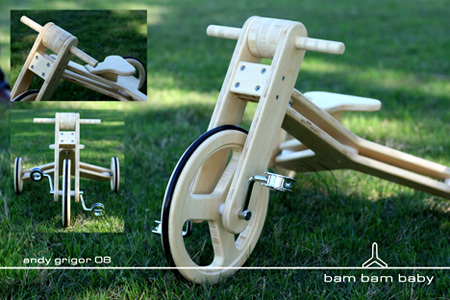 These tri cycles not only look good but also add more fun to your kids to drive through your lawn. 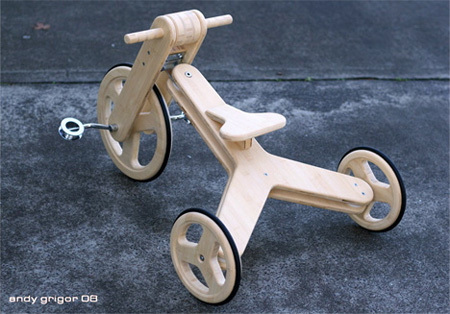 These tricycles are made out of flat sheet of bamboos which means they can be disassembled and assembled again which enables easy transportation when you are moving out doors with your kids. Over all design gets 4/5 except for the simple handle bar design other features of this tricycle are really attractive.